As a result of the strong dollar, we have recently changed our rates to Pesos. This should benefit most of our customers with lower prices. NOTE: on the booking engine, there is a tab that shows the equivalent in your denomination at the day you are looking at the prices. 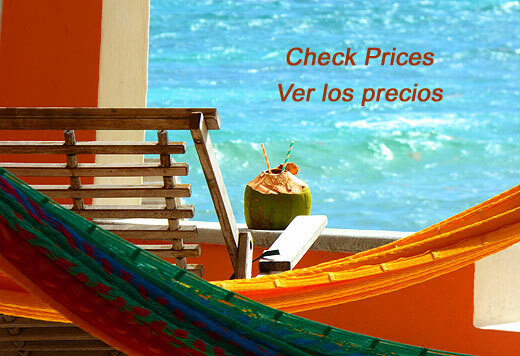 All Rooms include Full breakfast | All Prices are Mexican pesos and based on Double Occupancy. Tax/IVA not included | Extra persons over 2 are $200 pesos extra with breakfast and extra linens and purified drinking water. For rooms with A/C the rate is $25 per night extra if you choose to use A/C because we must run the generator. 10 hours at night only and available during the months of May through September. We encourage you to try the eco-friendly caribbean breeze first, it is cheaper and you get to listen to the waves - Fans work off batteries 24 hours. MEALPLAN: Room rates include a large hot breakfast with coffee, juice and fresh fruit. For an additional $335 pesos per person you can add on lunch and dinner, snacks, coffee, Tea, Iced tea and purified water. If you don't want the meal plan, but still want to eat in the restaurant occasionally, meals from the restaurant are also available on a per-meal basis. Check our Menu of the day. 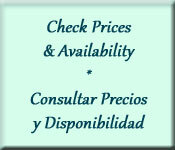 *Prices Pesos and subject to change without notice. E-mail us for long term rates - good deals on Beach view rooms.